Drobo has an excellent line of storage solutions for photographers, videographers and other creatives, and those Drobo “power users” will be interested in the new Platinum and Gold Edition packages for the 5D3 direct-attached and 5N2 network-attached 5-bay storage drives. The new editions are designed to provide high-performance storage functionality while protecting valuable files with additional safety features. The Drobo 5D3 5-bay direct-attached storage drive supports two Thunderbolt 3 ports and one USB 3.0, Type C port. It features a Marvell 1.6 GHz Quad Core processor, with a 64 TB volume size. Drobo says it’s up to 2x faster than the previous model—up to 800 MB/s read (avg.) and 346 MB/s write (avg.) using SSDs and mSATA, and up to 652 MB/s read (avg.) and 343 MB/s write (avg.) using Enterprise HDDs and mSATA. The Drobo 5N2 5-bay network-attached storage drive features two Gigabit Ethernet connections, with Adaptive Link Bonding and a 64 TB volume size. Streaming performance, per Drobo, is up to 190 MB/s read (avg.) and up to 197 MB/sec write (avg.). The drive also includes the Drobo Disaster Recovery Feature for offsite backups. All Gold Edition Drobos include a premium DroboCare warranty for five years, replacing the standard two-year coverage for uninterrupted protection on Drobo products. Additionally, the Gold Editions include a 128GB mSATA SSD for up to 30% faster access to frequently used files. The Platinum packages also include one instance of a data recovery service within a five-year period. This partnership is an industry first and a direct result of our power users’ desire to ensure their data will never be compromised. DriveSavers has the highest recovery rate for mechanical, water and fire damage, file corruption, and more on hard drives and all data storage devices. Drobo has an exclusive partnership with DriveSavers for this level of service, potentially saving customers thousands of dollars in recovery fees. Feedback from Drobo’s power users has shown one thing – they want to increase performance and peace of mind. This customer feedback is the inspiration for the Gold and Platinum Editions, making the already best-selling 5D3 and 5N2 models even better. Every Drobo includes unique features such as a battery-powered failure protection, expandability with any sized hard drives, and a self- healing file system. The Drobo 5N2: Gold Edition MSRP $749 / Platinum Edition MSRP $949. 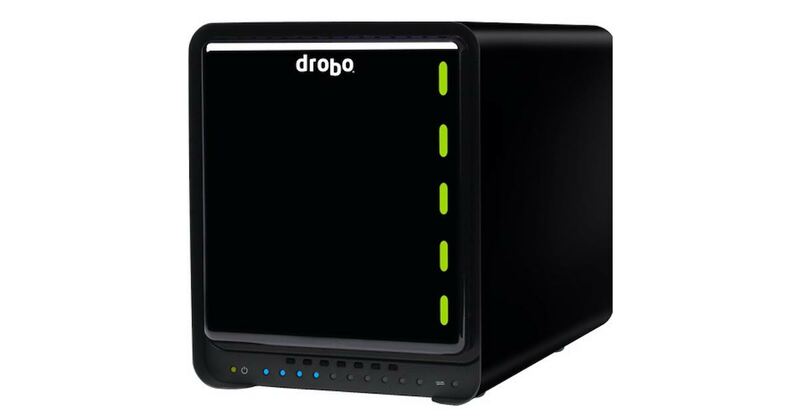 The Drobo 5D3: Gold Edition MSRP $949 / Platinum Edition MSRP $1,149. Available on www.drobostore.com and with select partners today. Drobo is offering Drobo owners a $50 USD discount when they purchase a Special Edition through www.drobostore.com. Contact [email protected] for more information.